Ever tried attending or organizing a luncheon? Luncheon is a formal word for lunch, or in other terms, it is a formal lunch. There are many reasons as to why a luncheon is hosted. They are held during the middle of the day. It is different than having a small picnic with a partner or going to a restaurant with friends. 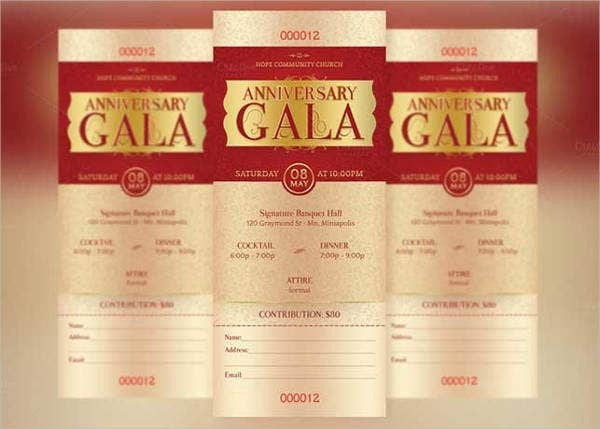 If your situation requires you into making a luncheon ticket for an upcoming event, then you should take a look at our samples provided below. 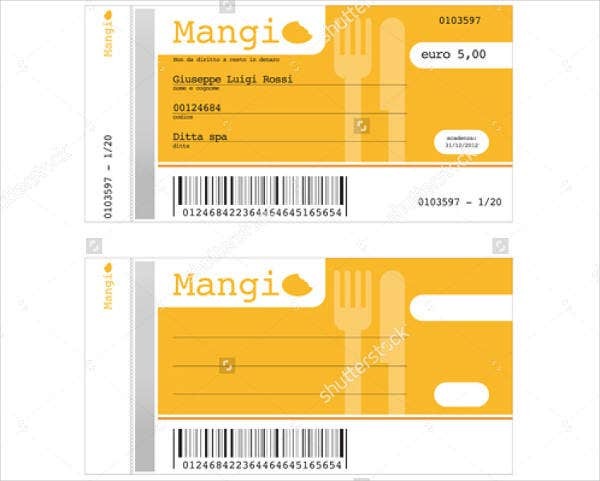 We also offer more ticket templates, which you can find here on Template.net. Before anything else, it is important to familiarize yourself with the definition of a luncheon and its purpose. They are hosted as a formal midday meal as a part of a meeting or for entertaining a particular guest. Common luncheons are held as a business lunch, which are usually at a restaurant. The topics discussed are about the business, and the cost is charged by the company as a business expense. They can also be held for club meetings and special occasions as well such as alumni luncheons. When having a meal with friends during the middle of the day is called lunch, luncheons are much more formal than that and are usually held for special reasons. A group of people eat out at a restaurant or a specific venue to discuss or attend a special occasion, be it a reunion luncheon with college colleagues or company meetings to evaluate certain issues and overall performance of the business. 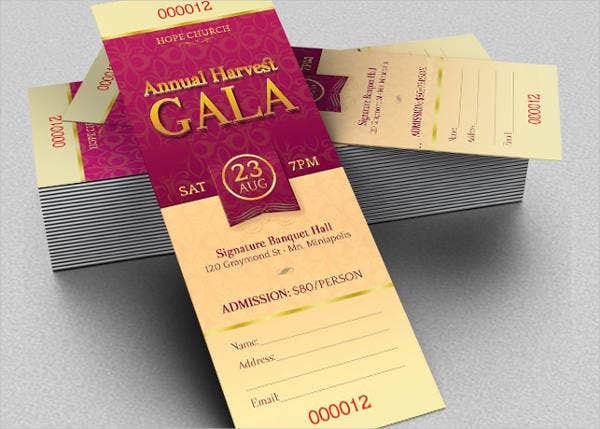 For more ticket-related templates, you can check out our ticket invitation templates and many more samples that we offer here on our Design pages. Which Ticket to Print and Give? 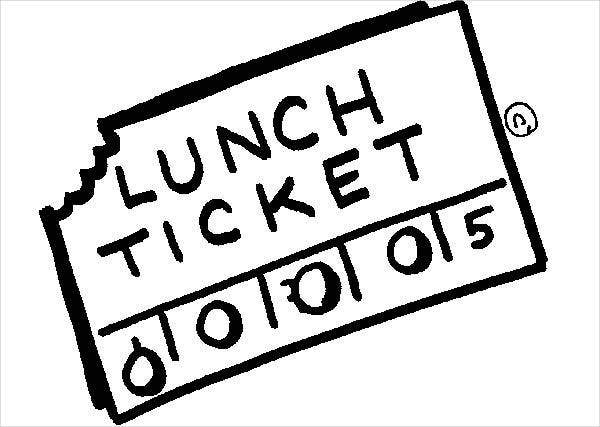 Free Lunch Ticket Template. If you are looking for luncheon tickets to download and are free of charge, then look no further. Just hit the Download button! Sample Luncheon Ticket Template. If you are looking for example luncheon tickets to use as a guide in making one, this is perfect for you. 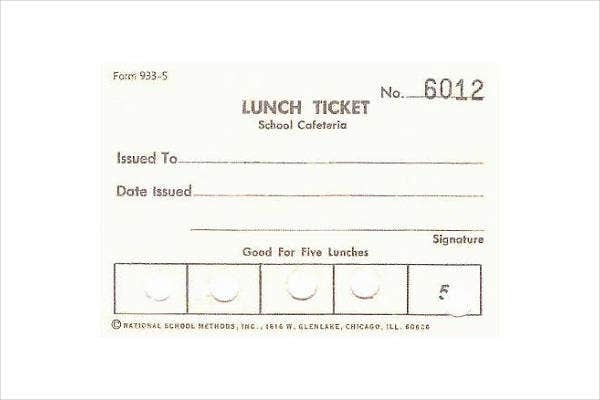 Printable Lunch Ticket Template. Easy to customize and print luncheon tickets. 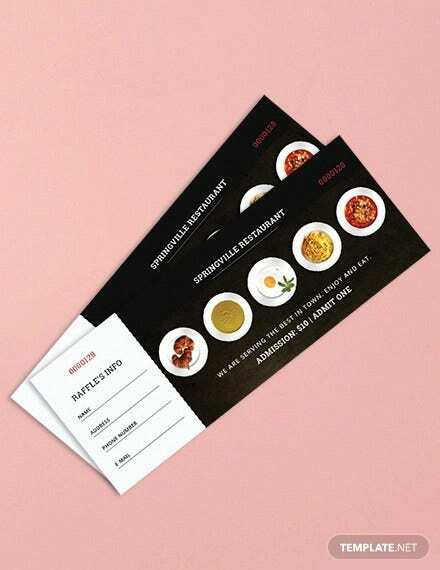 Luncheon Ticket Template in Word. You can attach this template in MS word, OpenOffice, etc. 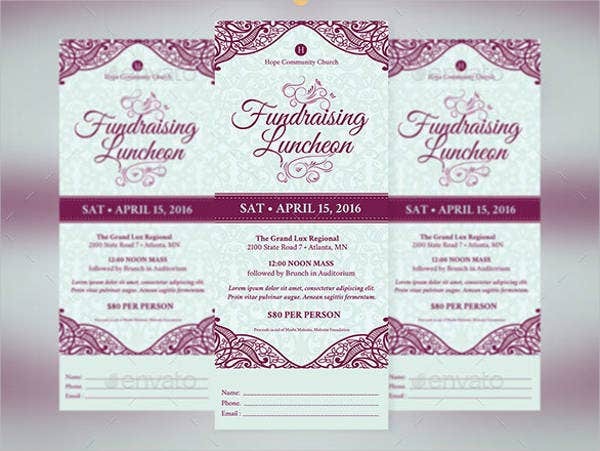 Fundraising Luncheon Ticket Template. There are a lot of things to consider when hosting fundraisers. You have to come up with ideas in how to earn money to use for a good cause. If you are planning to organize a fundraiser luncheon, then this ticket is the one you need. 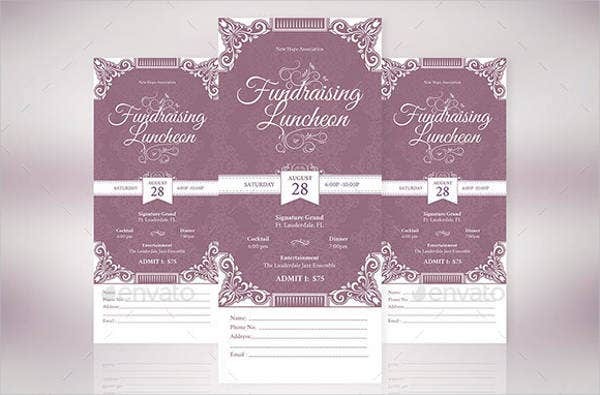 Luncheon Ticket Invitation Template. When hosting luncheons, you may need to invite certain people, especially if the luncheon is a special event or occasion. Invite those selected people to your luncheon with this invitation ticket. Church Luncheon Ticket Template. When hosting a luncheon for a church event, it is important to hand out tickets to help accommodate the number of people who might be attending. Vintage Luncheon Ticket Template. 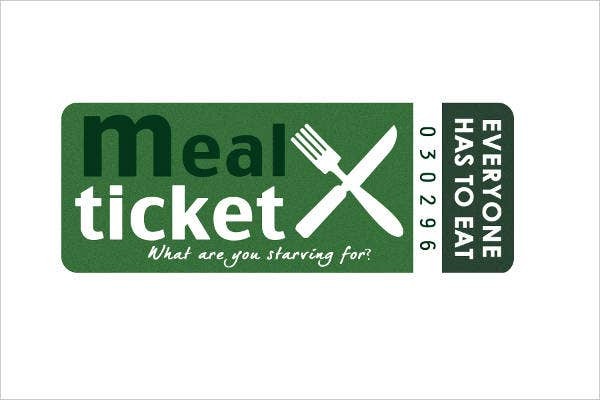 Match your luncheon theme with this vintage-style ticket. The elegant and timeless design will sure to capture the attention of your guests. If you prefer to create a ticket from scratch, then you can check out our blank ticket templates that we offer on our website.